He was found running loose after escaping his yard in an evacuated Williams Lake neighbourhood, panting heavily, dirty and terrified. Although cautious at first, once firefighters contained the scared dog and gave him some water, he was able to sleep. 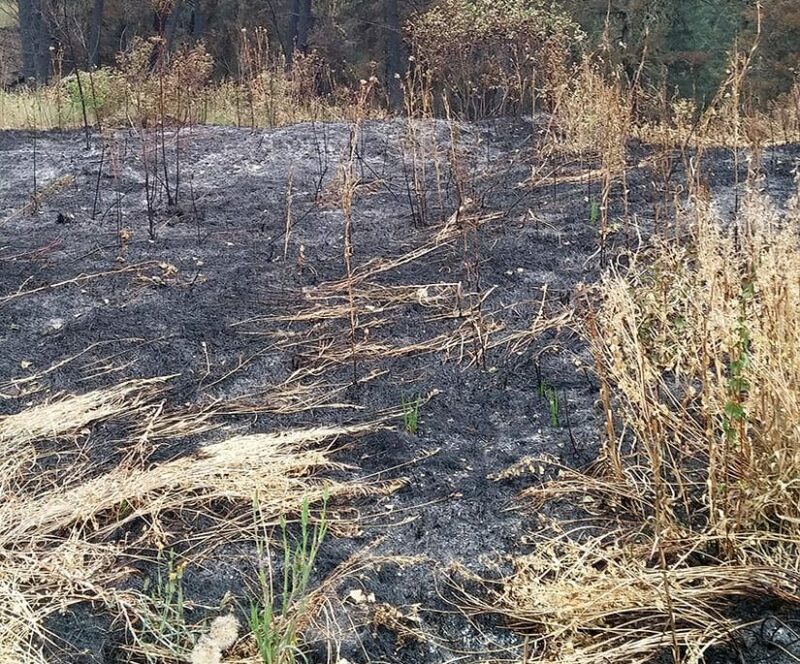 “The firefighters who found him say he seemed so relieved,” says BC SPCA special provincial constable Cristie Steele, who was with the BC SPCA special constables and other staff and volunteers helping out in the wildfire crisis. 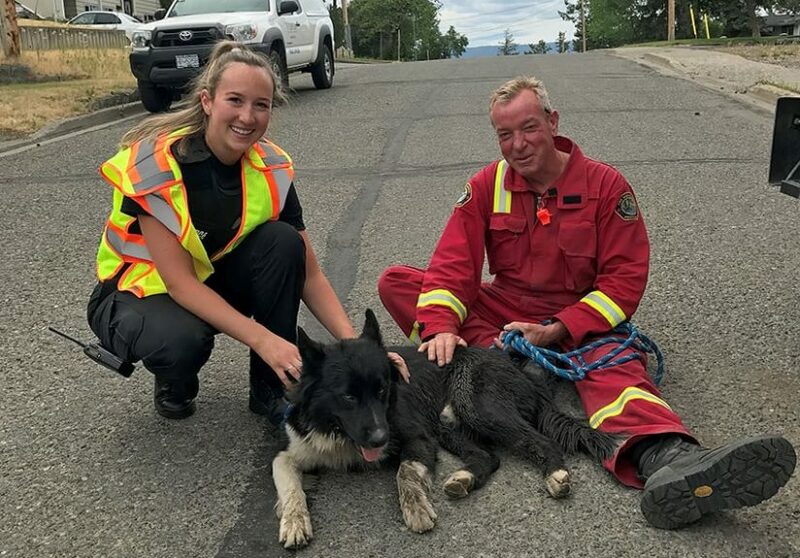 Steele brought the relieved dog to the Williams Lake Veterinary Hospital, where Dr. Ross Hawkes stayed open to assist with animals found in the evacuated city. He was later happily reunited with his guardian, a firefighter who had been working long hours. 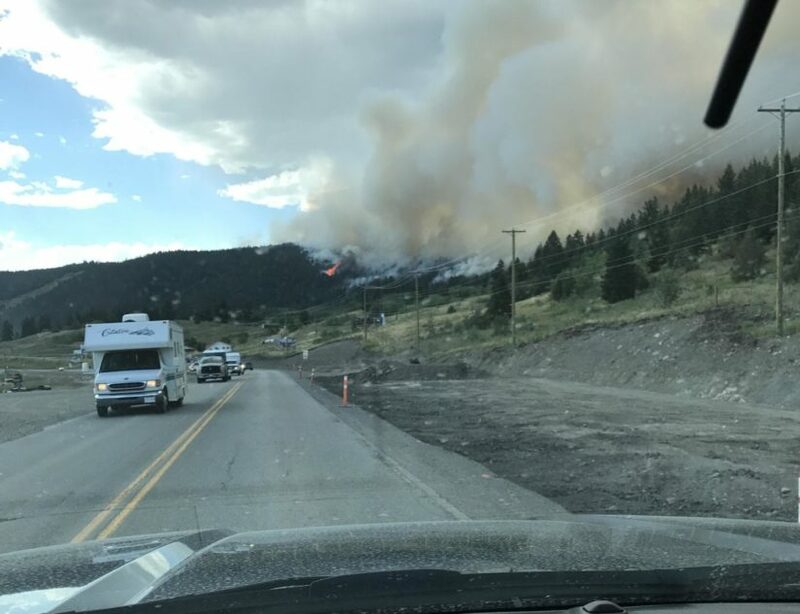 While thousands of Williams Lake residents were allowed to return home Thursday, some evacuation orders remain in place and all returning residents are still under evacuation alert. With 150 fires burning in the province, communities continue to be endangered, especially without any significant rainfall. Evacuated pet guardians have been so relieved to hear their animals are doing OK and the joy when they’re reunited is amazing, Steele says. “One lady called me in tears to thank me. Everyone has been so very grateful,” Steele says. BC SPCA staff and volunteers, including 23 special provincial constables, have been working hard within the Cariboo region to not only reunite animals with their guardians, but to feed and water – and clean the habitats – for the animals left behind, including dogs, cats, ferrets, birds and fish as well as farm animals such as pigs, chickens, cows, horses and even a donkey. In addition to base camps in Williams Lake and Clearwater, BC SPCA staff and volunteers are also assisting with animal care sites set up by emergency services in Prince George and Kamloops, working to stay in touch with pet guardians and transport pet food and supplies where they’re needed. While BC SPCA staff and volunteers have been busy, BC SPCA general manager of community relations Lorie Chortyk notes there are superheroes who have also been helping behind the scenes, quietly but generously. “We can’t thank our supporters enough for how they’ve rallied to this cause and have so graciously given what they can to help during this crisis,” she says. Those interested in donating to the BC SPCA’s wildfire efforts can visit spca.bc.ca/emergencyalert.